Throughout the Victorian period two and four paned sash windows were the most common. French doors with upper glass panels are used to access balconies. At first flat arches were used above ground floor windows and doors, but increasingly the arches become round, often with elaborate moulded surrounds and columns of various kinds. Buildings in the Gothic style sometimes use pointed arches. 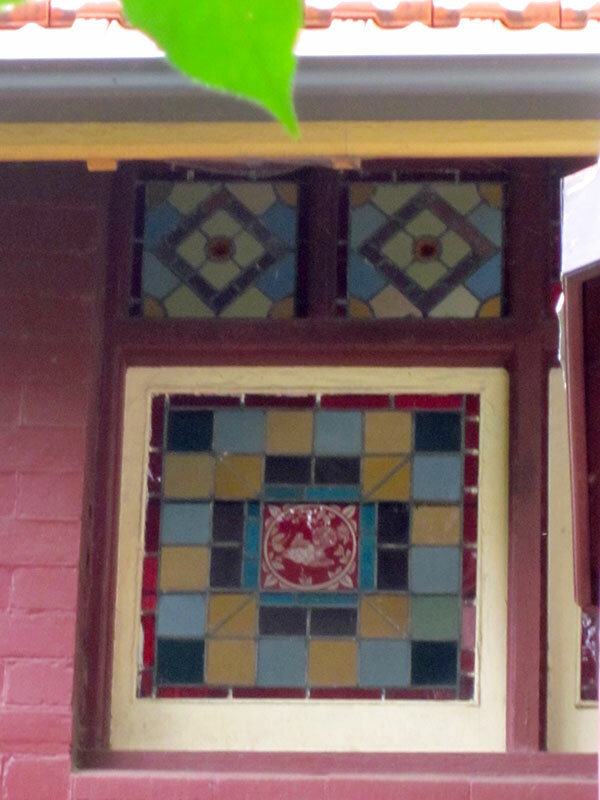 Etched glass is often used above, beside or in doors, and sometimes includes the house name. Etching is also used to achieve flash glass, which has more than one layer of glass with the coloured layer etched away to reveal patterns. 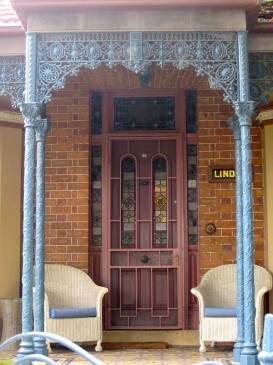 Leadlights begin to be used in door surrounds from 1880: frequently individual panes are painted as well to display floral patterns or figures. The colours are often very intense. The patterns become noticeably less naturalistic in Federation houses, especially under art nouveau influence, and at the end of our period sometimes geometric. Window shapes become more variable, with more casement types.